This branch of the ANZ Bank is inside what is known as the ANZ Gothic Bank on the corner of Queen and Collins Streets in Melbourne, Victoria. The building was designed by William Wardell (1823-1899) and built as the English, Scottish & Australian Bank between 1883 and 1887. 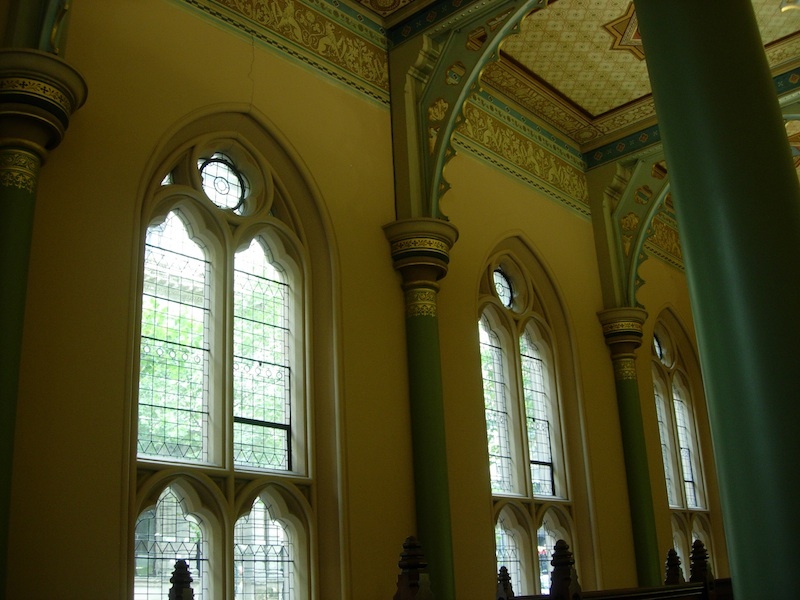 The building is in the Gothic Revival style and the interior of the branch features lancet windows with stone tracery, iron arches supported by iron columns with decorated columns, and a hand-painted ceiling decorated with gold leaf. 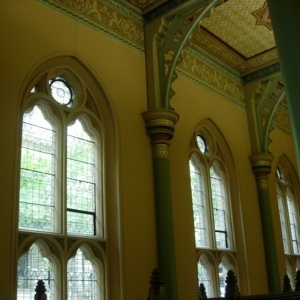 “ANZ Gothic Bank, Melbourne, Victoria,” Medievalism in Australian Cultural Memory, accessed April 23, 2019, http://ausmed.arts.uwa.edu.au/items/show/1308.